As evidenced by the untold number of songs, written works, and movies about it, California has an international reputation for being one of the most beautiful and desirable locations in the world to both live in and visit. 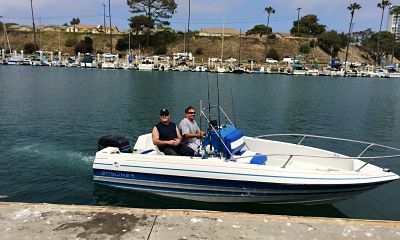 Southern California in particular is revered not only for Hollywood and its exquisite beaches, but also as one of the world’s premiere spots for game fishing. 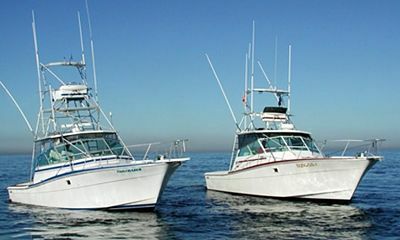 The deep waters, calm seas, and balmy weather make for both an ideal fish breeding ground and an enjoyable experience for fishermen. 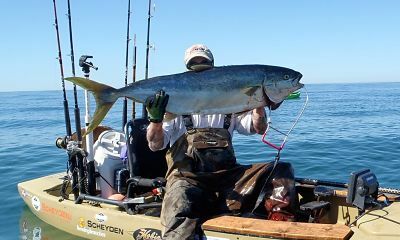 Southern California (also referred to as SoCal) has a great many excellent locations that serve as a jumping off point for amazing fishing, but there are a few places that are sure to please fishermen with both the quality and quantity of the fish they can catch and also with how many marvelous activities on land and at sea they can offer. Redondo Beach is often considered to be the quintessential seaside town of the Los Angeles area. It somehow manages to maintain its small-town, beach vibe while remaining a key location in the sprawling metropolis that is L.A. There are four marinas in its harbor that offer about 1400 slips. After a full morning of fishing, this is a wonderful place to relax in the sun and enjoy some nightlife. Redondo Beach has many restaurants and cafes, and the Riviera Village or South Bay Galleria (an open-air mall) will fulfill any shopping needs. Walk the famed Redondo Beach Pier and play in the arcade. Beach volleyball and surfing are immensely popular, and you can get your fill of culture at the Redondo Beach Performing Arts Center (home of the Los Angeles Ballet), or even strolling by the power plant to see the “Grey Whale Migration” mural by famous artist Robert Wyland. A beloved fixture in Orange County, Newport Beach has garnered a reputation for being a sophisticated and cultured locale, but it is also a great place to go for fun and fishing. The Balboa Yacht Basin offers 172 slips, and there are number of offshore mooring options. After landing some fish, head to shore to enjoy numerous dining establishments, clubs, and bars, or to enjoy the artistic offerings of the Orange County Museum of Art or Newport Theater Arts Center. Spend an afternoon visiting the historic Balboa Pavilion and the Balboa Fun Zone. If you are a surfer (or are even just an admirer of the sport), you will definitely want to make time to visit The Wedge — a world-famous surf spot. Newport Beach is also the home of many events like the annual Newport Beach Wine & Food Festival, the Ensenada International Yacht Race (the largest sailboat race in the world), or the Christmas Boat Parade (a beloved event that first began in 1908). For a local island getaway (that also provides access to rich fishing waters), Catalina Island is certainly worth the short boat ride from the mainland. Once it is within your sight, you will immediately understand why it was once the chosen escape for legendary Hollywood stars like Clark Gable, Charlie Chaplin, Joan Crawford, and Betty Grable. 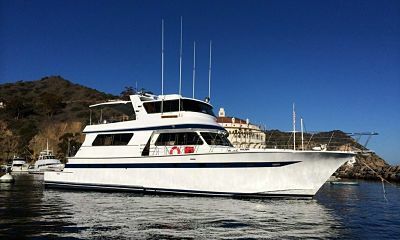 With plenty of mooring spots around the island and activities for both relaxation and adventure, Catalina is popular with local and visiting fishermen alike. After the ice chest is brimming with the catch of the day, you can go zip lining, parasailing, hiking, kayaking, snorkeling, biking, or diving. If you would rather just relax, then there are a number of quaint seaside restaurants, shops, and galleries in Avalon to enjoy. While in Avalon, you will likely want to check out the iconic Casino, which was built in the Art Deco style by William Wrigley Jr. of Wrigley’s Gum fame, and which contains a grand ballroom, museum, and theatre. The only other town besides Avalon is Two Harbors, which once a year is taken over by the Buccaneer Days festival — a pirate-themed event of riotous fun that runs over the course of a weekend each autumn. Further down the coast from Orange Country and L.A. lies the lovely city of Oceanside, which is not wanting in incredible beaches, water sports, history, and (of course) fishing. Oceanside Harbor has 24 slips for 34’ boats that can be reserved ahead of time, and more that are on a first-come, first-served basis. If you are exceptionally lucky, you may be able to catch the rare and beautiful Opah fish, of which only three have been reportedly caught in the Oceanside area. Ashore, you can visit the Oceanside Pier (first built in 1888 and rebuilt five times since then), tour the Mount Ecclesia historic district, view the California Surf Museum, or explore Oceanside’s many biking, hiking, and historical walking trails. The daring can try out the only coastal sky diving spot in SoCal, or get an aerial view from a vintage biplane. Back by the water, there are many stand-up paddle boarding, kayaking, surfing, and scuba diving opportunities. A city with a long and colorful history and plenty to entertain, San Diego is a magnet for fun-seekers, history buffs, and fishermen. This immense metropolis is not to be missed, and continues to lure in water and fish lovers from around the world. There are many guest slips for your boat on Shelter Island, and there are over 20 private marinas in the harbor — many of which also feature guest slips. Along with many varieties of rockfish, among others. After fishing, there are plenty of sights that are sure to appeal to everyone in your party. San Diego offers plenty of boutique shopping and places to play and dine. It is home to SeaWorld San Diego, the San Diego Zoo, the San Diego Safari Park, Old Town San Diego Historic Park, Mission San Diego de Alcala, and the San Diego Maritime Museum (which features two submarines, a handful of historic and replica tall ships, and more). Gastronomists will enjoy touring the many vineyards and breweries in the city that is sometimes called “America’s Craft Beer Capital,” as well as enjoying the many bars and restaurants that line San Diego’s famous Gaslamp Quarter. Southern California is an immense place filled with a myriad of exciting possibilities for exploration and culture. With so much to entertain on shore, many often overlook what can be enjoyed just a little ways away from the harbor. Fishermen of all skill levels will undoubtedly enjoy their stay in SoCal and find this coastal paradise to be a lot more than meets the eye.